* Please Note: This door is manufactured specifically for the MF Fire Catalyst wood stove. The door can only be purchased as a bundle with the stove. Replacement doors must be ordered directly from MF Fire. WARNING: Catalyst For more information go to www.P65Warnings.ca.gov. 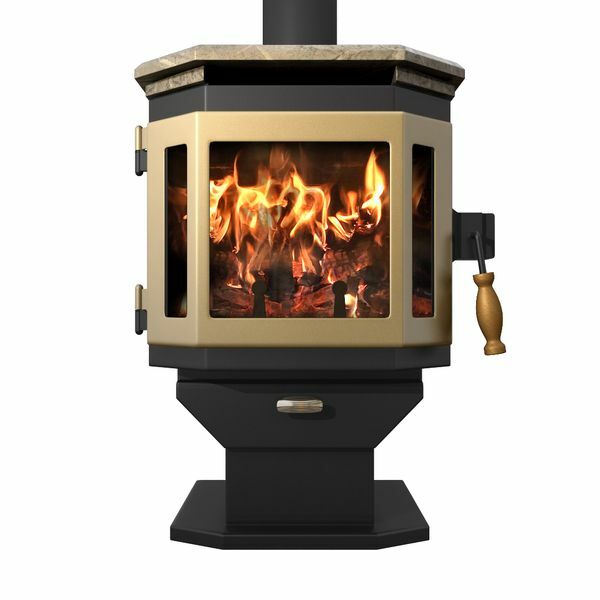 Featuring a large bay front design, the Catalyst door is designed specifically for use with the Catalyst high efficiency wood stove. Constructed from 5/32 steel, the door is highly resistant to warping and cracking. Included is a handsome wooden latch handle for operation and integral hinges for attachment to the stove body. Available in a wide variety of color options to suit your needs, there is truly a finish to suit each and every application.